Sign into your YouTube account, then expand the top-right menu and click YouTube Studio. 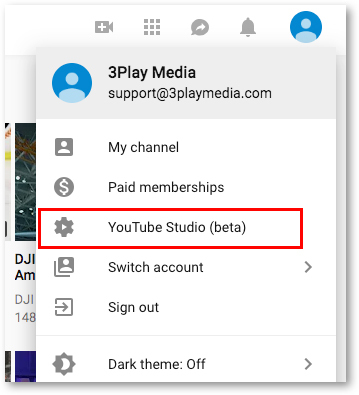 Important Note: YouTube Studio is the new version of Creator Studio, but your YouTube account may not have received this update yet. 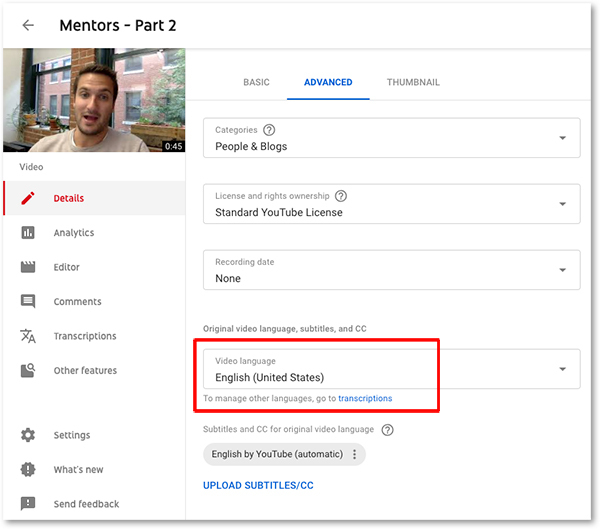 If YouTube Studio is not a menu option, click here for Creator Studio instructions. Select the Videos tab from the lefthand menu. Click the video to which you would like to add captions to bring up its Details page. 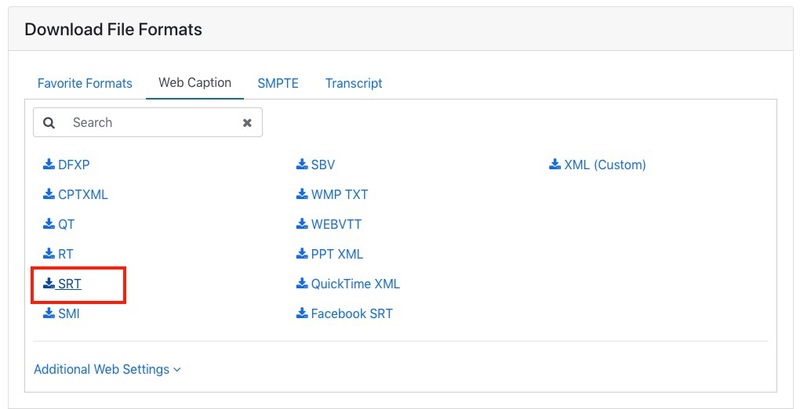 Under Advanced details, select a language for your video if you have not done so already. 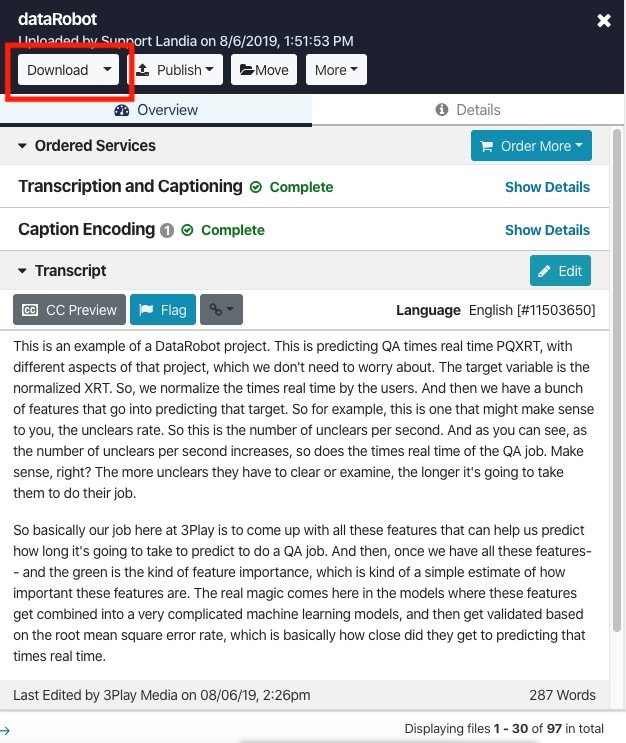 Click Upload Subtitles/CC, then select With timing and click Continue. Choose the .SRT file when prompted. Click Save.